Berger, A., Mitschke, V., Dignath, D., Eder, A., & van Steenbergen, H. (in preparation). The face of control: Corrugator supercilii tracks aversive conflict signals. Bas-Hoogendam, J.M., van Steenbergen, H., Blackford, J.U., Tissier, R.L.M., van der Wee, N.J.A., & Westenberg, P.M. (submitted). Impaired neural habituation in families genetically enriched for social anxiety disorder. Dignath, D., Berger, A., Spruit, I.M., & van Steenbergen, H. (submitted) Temporal dynamics of error-related corrugator supercilii and zygomaticus major activity: Evidence for implicit emotion regulation following errors. Langeslag, S.J.E. * & van Steenbergen, H.* (submitted). Cognitive control in romantic love: The roles of infatuation and attachment in interference and adaptive cognitive control. van der Wel, P. & van Steenbergen, H. (2018). Pupil dilation as an index of effort in cognitive control tasks: A review. Psychonomic Bulletin & Review, 25, 2005-2015. Bas-Hoogendam, J.M., van Steenbergen, H., Tissier, R.L.M., Houwing-Duistermaat, J.J., Westenberg, P.M., & van der Wee, N.J.A. (2018). Subcortical brain volumes, cortical thickness and cortical surface area in families genetically enriched for social anxiety disorder – a multiplex multigenerational neuroimaging study. EBioMedicine, 36, 410-428. Bas-Hoogendam, J.M., Harrewijn, A., Tissier, R.L.M., van der Molen, M., van Steenbergen, H., van Vliet, I., Reichart, C., Houwing-Duistermaat, J., Slagboom, P.E., van der Wee, N., & Westenberg, P.M. (2018). The Leiden Family Lab study on Social Anxiety Disorder: a multiplex, multigenerational family study on neurocognitive endophenotypes. International Journal of Methods in Psychiatric Research, 27, e1616. van Dillen, L.F.* & van Steenbergen, H.* (2018) Tuning down the hedonic brain: Working memory load reduces neural responses to high-calorie food images in the nucleus accumbens. Cognitive, Affective, & Behavioral Neuroscience, 18, 447-459. Spruit, I.M., Wilderjans, T.M., & van Steenbergen, H. (2018). Heart work after errors: Behavioral adjustment following error commission involves cardiac effort. Cognitive, Affective, & Behavioral Neuroscience, 18, 375-388. Bas-Hoogendam, J.M., van Steenbergen, H., Kreuk, T., van der Wee, N.J.A., & Westenberg, P.M. (2018). Not intended, still embarrassed: social anxiety modulates the experience of unintentional social norm violations. European Psychiatry, 52, 15-21. Bas-Hoogendam, J.M. *, van Steenbergen, H.* , Pannekoek, J.N., Fouche, J.-P., Lochner, C., Hattingh, C.J., Roelofs, K., Furmark, T., Månsson, K.N.T., Frick, A., Engman, J., Boraxbekk, C.-J., Carlbring, P., Andersson, G., Fredrikson, M., Straube, T., Peterburs, J., Klumpp, H., Phan, K.L., Cremers, H.R., Stein, D.J., & van der Wee, N.J.A. (2017). Voxel-based morphometry multi-center mega-analysis of brain structure in social anxiety disorder. NeuroImage: Clinical, 16, 678-688.
van Peer, J.M. *, Enter, D.*, van Steenbergen, H., Spinhoven, P., & Roelofs, K. (2017). Exogenous testosterone affects early threat processing in socially anxious and healthy women. Biological Psychology, 129, 82-89. Kuipers, M., Richter, M., Scheepers, D., Immink, M., Sjak-Shie, E., & van Steenbergen, H. (2017). How effortful is cognitive control? Insights from a novel method measuring single-trial evoked beta-adrenergic cardiac reactivity. International Journal of Psychophysiology, 119, 87-92.
van Steenbergen, H., Watson, P., Wiers, R.W., Hommel, B., & de Wit, S. (2017). Dissociable corticostriatal circuits underlie goal-directed versus cue-elicited habitual food seeking after satiation: Evidence from a multimodal MRI study. European Journal of Neuroscience, 46, 1815–1827. van Steenbergen, H., Warren, C.M., Kühn, S., de Wit, S., Wiers, R.W., & Hommel, B. (2017). Representational precision in visual cortex reveals outcome encoding and reward modulation during action preparation. NeuroImage, 157, 415-428. Bas-Hoogendam, J.M., van Steenbergen, H., Kreuk, T., van der Wee, N.J.A., & Westenberg, P.M. (2017). How embarrassing! The behavioral and neural correlates of processing social norm violations. PLoS ONE, 12, e0176326. van Steenbergen, H., Weissman, D., Stein, D.J., Malcolm-Smith, S., & van Honk, J. (2017). More pain, more gain: Blocking the opioid system boosts adaptive cognitive control. Psychoneuroendocrinology, 80, 99-103.
van Steenbergen, H.* & Bocanegra, B.R. * (2016). Promises and pitfalls of web-based experimentation in the advance of replicable psychological science. A reply to Plant. Behavior Research Methods, 48, 1713–1717. Kowal, M.A., van Steenbergen, H., Colzato, L.C., Hazekamp, A., van der Wee, N., Manai, M., Durieux, J., & Hommel, B. (2015). Dose-dependent effects of cannabis on the neural correlates of error monitoring in regular cannabis users. European Neuropsychopharmacology, 25, 1943-1953. Watson, P., van Steenbergen, H., de Wit, S., Wiers, R.W., & Hommel, B. (2015). Limits of action-outcome acquisition. Brain Research, 1626, 45-53. Rondeel, E.W.M., van Steenbergen, H., Holland, R.W., & van Knippenberg, A. (2015). A closer look at cognitive control: Differences in resource allocation during updating, inhibition and switching as revealed by pupillometry. Frontiers in Human Neuroscience, 9:494.
van Steenbergen, H., Band, G.P.H., & Hommel, B. (2015). Does conflict help or hurt cognitive control? Initial evidence for an inverted U-shape relationship between perceived task difficulty and conflict adaptation. Frontiers in Psychology, 6:974. Bas-Hoogendam, J.M. *, Andela, C.D. *, van der Werff, S.J.A., Pannekoek, N., van Steenbergen, H., Meijer, O.C., van Buchem, M.A., Rombouts, S.A.R.B., van der Mast, R.C., Biermasz, N.R., van der Wee, N.J.A., & Pereira, A.M. (2015). Altered neural processing of emotional faces in remitted Cushing’s disease. Psychoneuroendocrinology, 59, 134-146.
van Steenbergen, H., Band, G.P.H., Hommel, B., Rombouts, S.A.R.B., & Nieuwenhuis, S. (2015). Hedonic hotspots regulate cingulate-driven adaptation to cognitive demands. Cerebral Cortex, 25, 1746-1756.
van Steenbergen, H., Haasnoot, E, Bocanegra, B.R., Berretty, E.W., & Hommel, B. (2015). Practice explains abolished behavioural adaptation after human dorsal anterior cingulate cortex lesions. Scientific Reports, 5:9721. Kowal, M.A., Hazekamp, A., Colzato, L.C., van Steenbergen, H., van der Wee, N., Durieux, J., Manai, M., & Hommel, B. (2015). Cannabis and creativity: highly potent cannabis impairs divergent thinking in regular cannabis users. Psychopharmacology, 232, 1123-1134.
van Steenbergen, H. (2015). Affective modulation of cognitive control: A biobehavioral perspective. In G. Gendolla, M. Tops, S. Koole (Eds.) Handbook of Biobehavioral Approaches to Self-Regulation (pp. 89-107). Springer. Hengstler, M., Holland, R.W., van Steenbergen, H., van Knippenberg, A. (2014). The influence of approach-avoidance motivational orientation on conflict adaptation. Cognitive, Affective, & Behavioral Neuroscience, 14, 548-560.
van Steenbergen, H., Langeslag, S.J.E., Band, G.P.H., & Hommel, B. (2014). Reduced cognitive control in passionate lovers. Motivation and Emotion, 38, 444-450. Brown, S.B.R.E, van Steenbergen, H., Kedar, T., Nieuwenhuis, S. (2014). Effects of arousal on cognitive control: Empirical tests of the conflict-modulated Hebbian-learning hypothesis. Frontiers in Human Neuroscience, 8:23.
van Steenbergen, H. & Band, G.P.H. (2013). Pupil dilation in the Simon task as a marker of conflict processing. Frontiers in Human Neuroscience, 7:215. Bruyneel, L., van Steenbergen, H., Band, G.P.H., Hommel, B., De Raedt, R., & Koster, E.H.W. (2013). Happy but still focused: Failures to find evidence for a mood-induced widening of visual attention. Psychological Research, 77, 320-332. Kowal, M.A., Hazekamp, A., Colzato, L.C., van Steenbergen, H., & Hommel, B. (2013). Modulation of cognitive and emotional processing by cannabidiol: the role of the anterior cingulate cortex. Frontiers in Human Neuroscience, 7:147.
de Laat, S., Hengstler, M., Holland. R.W., van Steenbergen, H., & van Knippenberg, A. (2013). Dat kan niet goet zijn: Domein-generiek conflict verhoogt cognitieve controle. In R. Dotsch, E.K. Papies, T.M. Pronk, B.T. Rutjens, J. van der Toorn, & E.G. Ufkes (Eds. ), Jaarboek sociale psychologie 2013 (pp. 121-124). Groningen: Aspo Pers. van Steenbergen, H. (2012) The Drive to Control: How Affect and Motivation Regulate Cognitive Control [Dissertation]. Enschede: Ipskamp Drukkers B.V.
van Steenbergen, H., Band, G.P.H., & Hommel, B. (2012). Reward valence modulates conflict-driven attentional adaptation: Electrophysiological evidence. Biological Psychology, 90, 234-241.
van Steenbergen, H., Booij, L., Band, G.P.H., Hommel, B., & van der Does, A.J.W. (2012). Affective regulation of cognitive-control adjustments in remitted depressive patients after acute tryptophan depletion. Cognitive, Affective, &Behavioral Neuroscience, 12, 280-286. Brown, S.B.R.E., van Steenbergen, H., Band, G.P.H, de Rover, M., & Nieuwenhuis, S. (2012). Functional significance of the emotion-related late positive potential, Frontiers in Human Neuroscience, 6:33. Jepma, M., Verdonschot, R.G., van Steenbergen, H., Rombouts, S.A., & Nieuwenhuis, S. (2012). Neural mechanisms underlying the induction and relief of perceptual curiosity. Frontiers in Behavioral Neuroscience, 6:5. Hengstler, M., Holland, R.W., van Steenbergen, H., & van Knippenberg, A. (2012). Conflict Adaptatie Gereguleerd: De Invloed van Lichaamsfeedback op Conflict Adaptatie. In N. van de Ven, M. Baas, L. van Dillen, D. Lakens, A.M. Lokhorst, & M. Strick (Eds.) Jaarboek Sociale Psychologie 2011, 75-86. Groningen: ASPO Pers. van Steenbergen, H., Band, G.P.H., & Hommel, B. (2011). Threat but not arousal narrows attention: evidence from pupil dilation and saccade control. 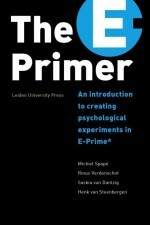 Frontiers in Psychology, 2: 281.
van Steenbergen, H., Band, G.P.H., & Hommel, B. (2010). In the mood for adaptation: How affect regulates conflict-driven control. Psychological Science, 21, 1629-1634.
van Steenbergen, H., Band, G.P.H., & Hommel, B. (2009). Reward counteracts conflict adaptation: Evidence for a role of affect in executive control. Psychological Science, 20, 1473-1477. Band, G.P.H., van Steenbergen, H., Ridderinkhof, K.R., Falkenstein, M., & Hommel, B. (2009). Action-effect negativity: Irrelevant action effects are monitored like relevant feedback. Biological Psychology, 82, 211-218.